I’ve mentioned my hatred for them in passing on the blog and on twitter a couple of times and come under fire for this, which has made me think about it them a bit deeper. I used the term “ban them” in a tweet, and this may have been the cause of the uproar – as with The Great Calculator Debate. The term is more important extreme than my actual viewpoint, so I figured I’d try to set my thoughts out here. Formula Triangles were first shown to me by my GCSE IT/Electronics teacher Mr Walker. The formula he was teaching them for was V =IR (Voltage = Currently X Resistance if my memory serves me correctly). Mr Walker didn’t explain how they worked, or what was really going on. 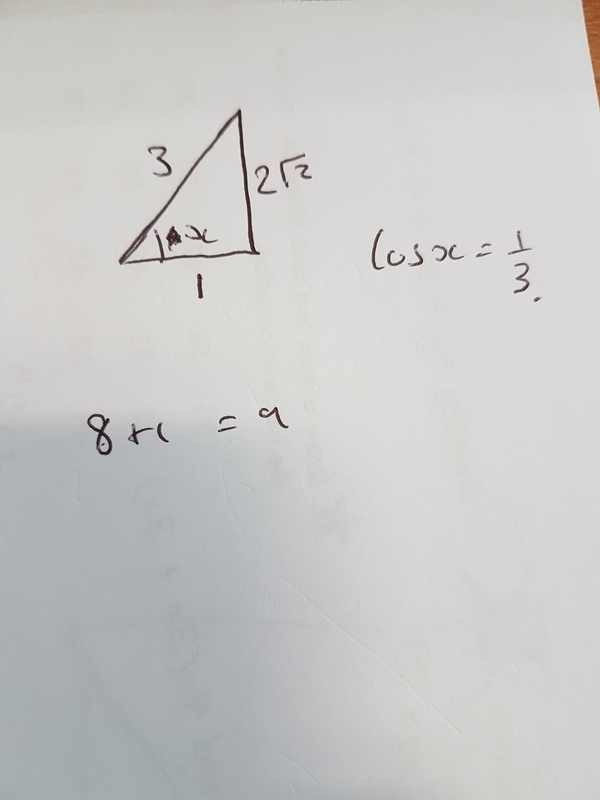 He said “I always have trouble getting them the right way round, so I use this triangle, and cover the one I need.” I’m fairly sure his algebra skills were a little lacking. I was good at algebra and quickly spotted why this worked. I had to explain these reasons to a number of classmates who weren’t happy with the “just do it like this” model and craved a deeper understanding. 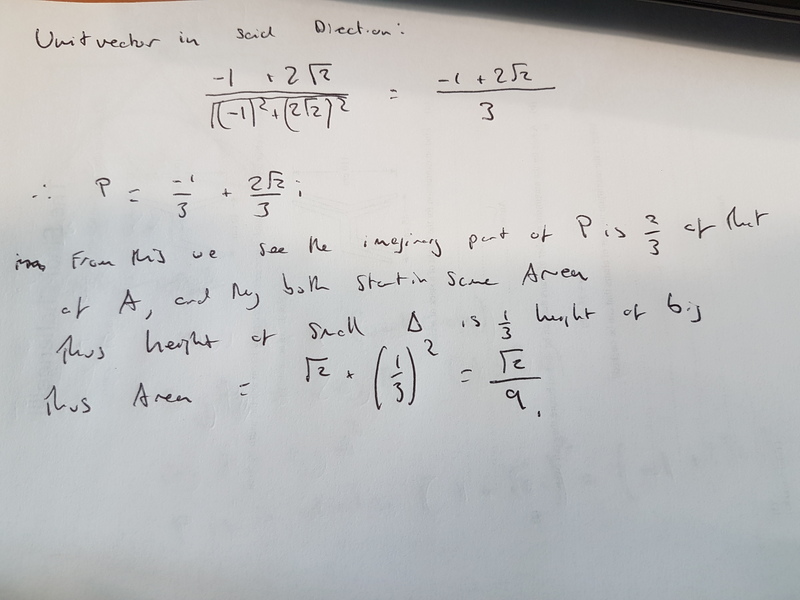 I quite liked them as a short cut, and quickly realised they could be applied to any number of similar formula, including speed distance time formula and the trigonometric ratios for right angled triangles, or RAT Trig for short. I’m fairly sure I used these in my exam. So what’s the problem with them then? Well, since you asked…. It’s the way I’ve seen them taught. I’ve seen them taught in maths lessons the way Mr Walker taught them in IT. This misses the opportunity to cement the algebraic skills required to rearrange formulae, to see the links between different areas of maths and enables pupils with little to no algebraic knowledge to gain a good GCSE pass. This highlights the ineffective nature of the maths GCSE as a measure of mathematical ability, which surely it should be. Is it ever ok to use them? I would say yes. 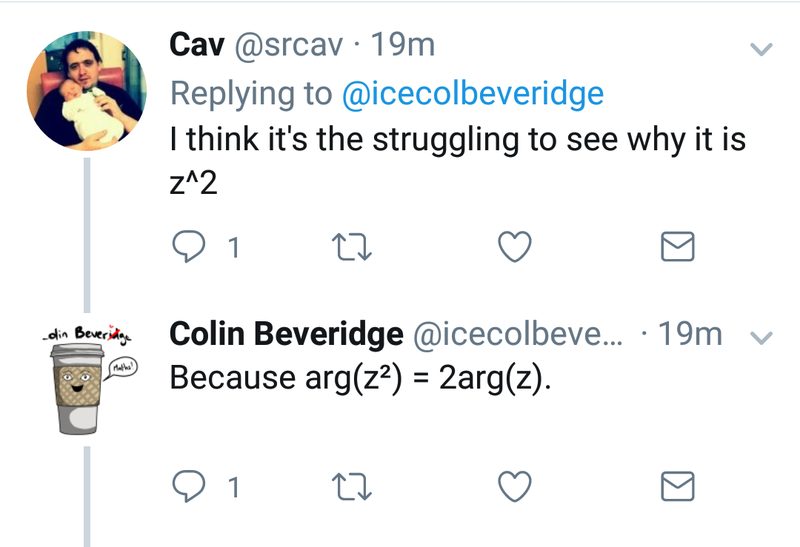 I am fine with people who understand algebra using them as a shortcut to save time (although how long does it take to rearrange them properly? You must save milliseconds!) , I’m fine with teaching them to weaker students who have tried to learn algebra but are prone to mistakes after they’ve been shown how to rearrange them algebraically. What I’m not fine with is the “do it like this and don’t worry about how it works” use of them. Especially when the learners in question want to go on to study Maths at A Level and beyond, it could damage their chances. 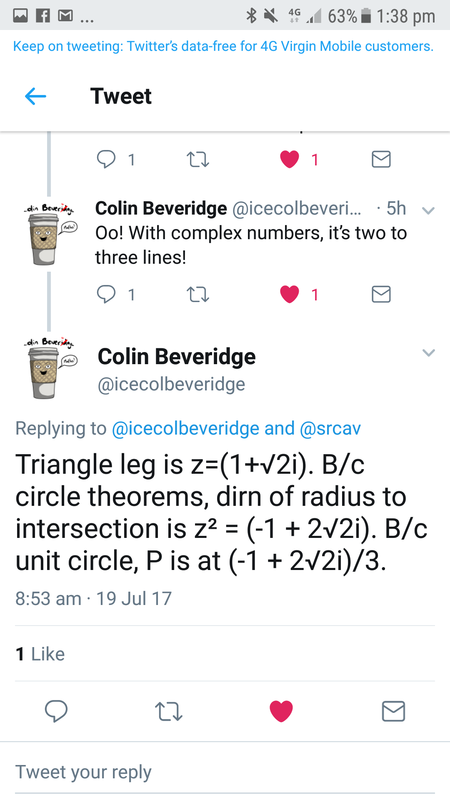 Becks, Jo (@mathsjem), Martin (@letsgetmathing), Hannah (@missradders) and Colin (@icecolbeveridge) all came to the defence of formula triangles on twitter. 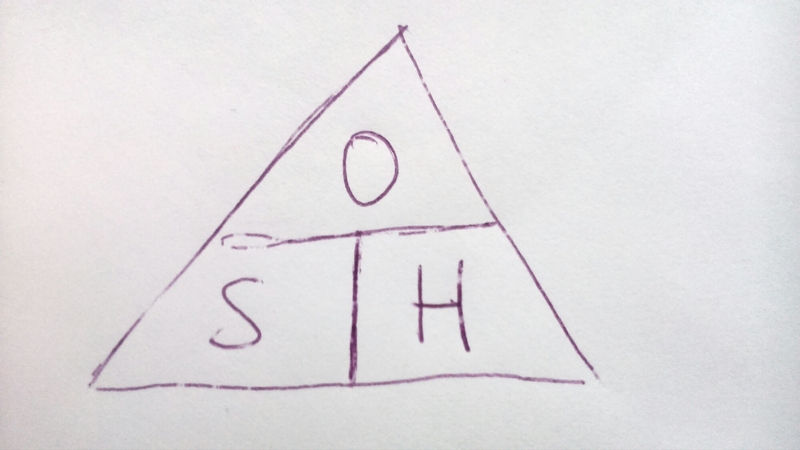 There was some sense that I was personally attacking their methods, and that I was making generalisations about the use of formula triangles. Neither of these were my intention and I apologise if it seemed it was. I hope this post explains what I meant better that I could in 140 characters. I was surprised at the massive response the tweet got, and the massive, seemingly emotional, relationship some had to it. 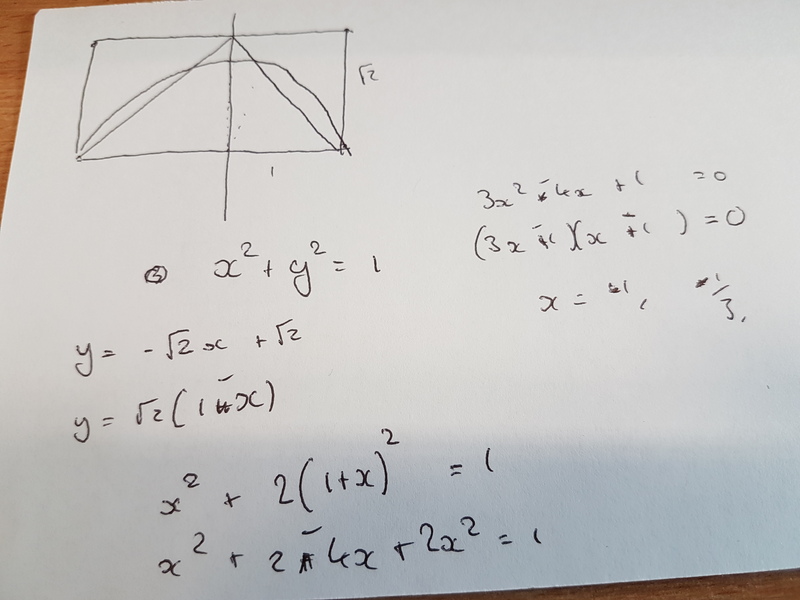 I would love to here how Formula Triangles are used to aid rearranging, instead of as a way to avoid it, as is the point. 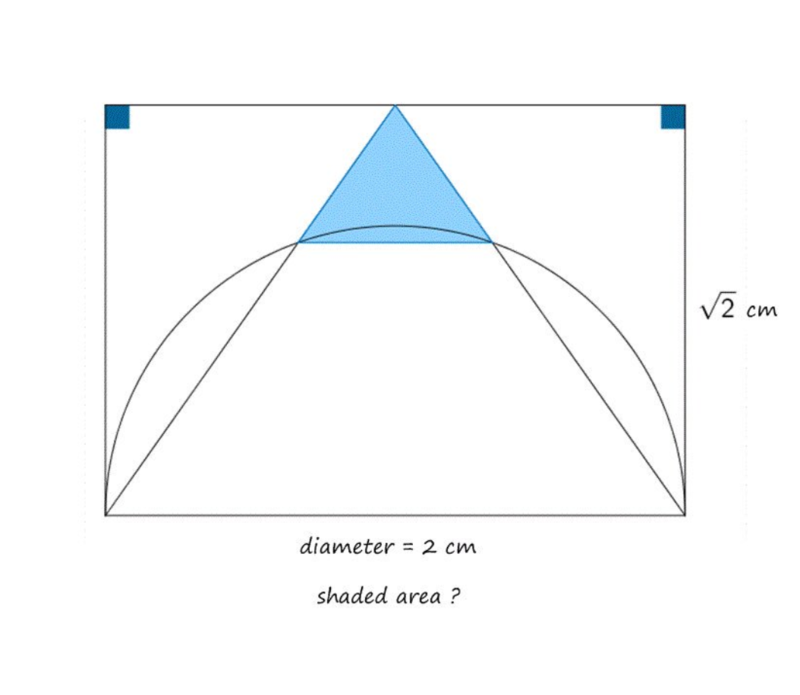 I’d love to hear more views on this in general, do you use Formula Triangles? If so how, and why? Back in December I posted this blogpost about calculators. It caused quite a stir and prompted many responses. 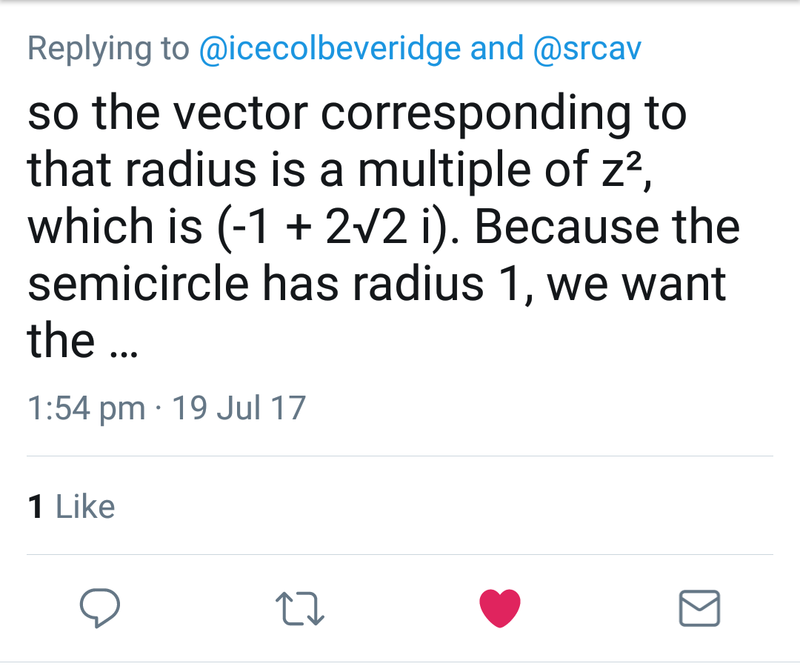 Dave Gale, aka reflective maths, tweeted back with this video, Colin Beveridge, of flying colours maths, responded with this blogpost and there was a much wider debate on twitter with tons of people getting involved on each side. It was brilliant to see. I thought though, that I needed to write a further post to clarify and review what had been said. In the first instance, I selected a sensationalist title which was intended to catch the eye. I do think, though, that the title may have led people to think my stance was a little more hardline than it actually was. And having seen the views set forward by the alternate position, I think my view has softened further still. When I wrote the original post I was certainly advocating the banning of calculators in primary classrooms, and I would stick by this now. The opposing case to this was that an inability to subtract two and three digit numbers from 360 was causing a barrier to teaching angles. I would counter this with the statement that subtracting two and three digit numbers from a three digit number is such a basic skill that it needs to be mastered either before moving on to angles, or with angles providing a great opportunity to hone this skill. The other argument was that the government were banning calculators from KS2 tests, but using the same test. On the face of it, this is silly, but I don’t think it is a valid argument for keeping calculators. Rather it is valid argument for altering the tests. Colin wrote in his post that calculators are not the enemy, but rather it is their misuse. I can see his point here, but I wasn’t advocating we destroy them all, I was advocating that we eliminate their use in primaries and cut it down radically in secondaries. He questioned the necessity of adding 4 or 5 numbers with 5 or more digits together, and this is a point I will concede. My hard line of only using it for trigonometry was perhaps too hard. But I still feel a vast reduction in their use would produce better mathematicians in the long run. The video Dave sent was of Conrad Wolfram talking about why the future of maths should basically be entirely computational. Conrad feels that we need to stop teaching hand calculation and start teaching only computational mathematics. I feel that this would be an entirely wrong move. Computers can only do as they are told. If we are looking to prove a theorem generally, then we need to be able to hand calculate. Computers can check case after case, but this is not enough for a “proof”, as it is impossible to check an infinite amount of cases. A computer would not have been able to come up with mathematical induction or infinite decent. A number of people responded along the lines of “What’s the point in learning how to do this when you can use a calculator?” This seems to me to be a ridiculous argument, like saying “Why learn to write when you can use a word processor?” or “Why learn to walk when you can use a mobility scooter?” If we head down that path is won’t be long before we are like the fat oafs in “Wall.E” (see this video) or even completely plugged in, a la “The Matrix”. No, calculators are not the enemy. But if the world becomes too reliant on them then we lose the skills we have built up over the centuries, we lose the ability to construct proofs for general cases, and we lose the beauty and the satisfaction one can get from solving a problem with nothing more than a pencil and paper. Since the original post, I have realised that this is a wider issue than just calculators. Discussions with colleagues have highlighted that this problem occurs in other subjects when scaffolds are used. Thesauruses can lead to nonsensical sentences in English, for example. 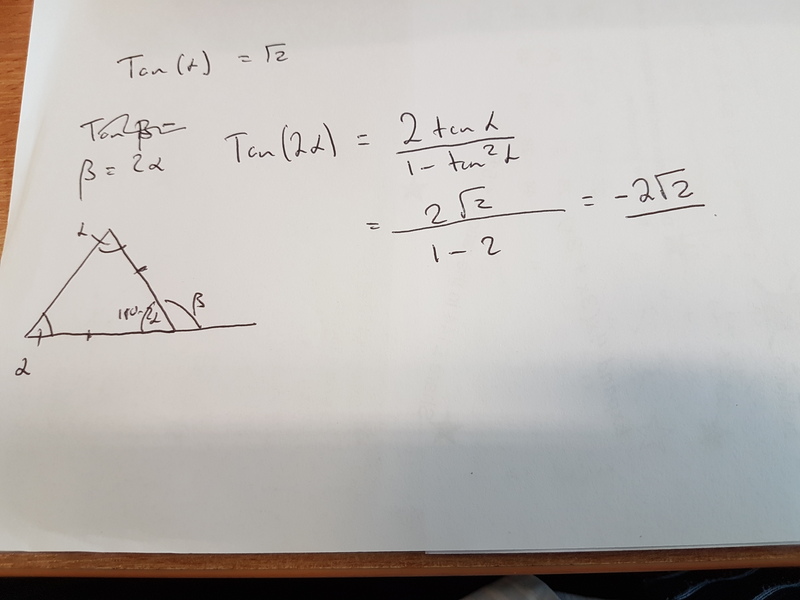 Scaffolds can also just mask a problem, pupils can get round something they cant do in lesson (ie subtract 197 from 360), but if it comes up on a non-calculator exam then they will not be able to obtain the correct answer. You could – if you were the benevolent dictator of the world – reduce the number of deaths on Britain’s roads to zero overnight, in one fell swoop, by simply abolishing the car. Brilliant, effective solution, with many side benefits: no more car crime, much less pollution, no more traffic jams, fitter populace, probably a rejuvenation of town centres. It’s a fantastic idea. Except, of course, if you want to get anywhere that’s not served by public transport, or need to get to the hospital in a hurry, or pick your kids up from the school disco. I would suggest that, if you were to implement such a policy, you wouldn’t be seen as a benevolent dictator for long. The trouble is, making decisions to ban tools to eradicate problems often leads to losing the benefit of the tools. Cars may have many negative side-effects, but on the whole they’re a Good Thing for society. The biggest problem isn’t people using cars, it’s people using cars inappropriately: driving 300 metres to school, racing down the M1 flashing your lights at people you don’t think are driving fast enough, having a flag of St George stuck to the roof. This article isn’t about cars. This article is about calculators. There is a school of thought that would like to see a ban on calculators in the classroom, reasoning that they detract from students’ number skills. I can see their point of view: I sigh a scornful sigh when a student automatically reaches for the calculator when given a simple sum; the Mathematical Ninja is rather more violent in his responses. It goes almost without saying that students need some manner of number sense – I once had a student who insisted that Mars was five centimetres away because his calculator said 5 – and I’m very keen on Rob Eastaway’s idea of ‘zequals’ – effectively doing all of your sums to one significant figure before you get the calculator involved – just so you have an idea of whether your number is correct. There is also a calculator on the market (the QAMA: http://qamacalculator.com/ ) that won’t give you an answer unless you give it an acceptable estimate first – which looks like a terrific tool that even the Mathematical Ninja would allow in his classroom. Like with the car, the problem is not with the use of calculators, but in using them when they don’t need to be used – or using them wrongly. (To extend the analogy, some students use the calculator in way that’s like using a car as a sofa.) I would argue, all the same, that the calculator can – and should – be used as a tool to extend the boundaries of what topics are available to students to learn. It’s only a fairly recent invention – calculators have only been commercially available since the 1970s or so; before that, students of maths relied on slide rules and books full of lists of the values of trigonometric functions, logarithms, and so on. If you wanted to know the value of a complicated expression, you’d be in for a long, hard, and probably inaccurate slog. Why would you want a student to spend literally hours pounding away at something tedious – say a long list of four-digit multiplication sum – when a calculator can do it in the blink of an eye? Would you not rather they spend the time learning how to solve mathematical problems? 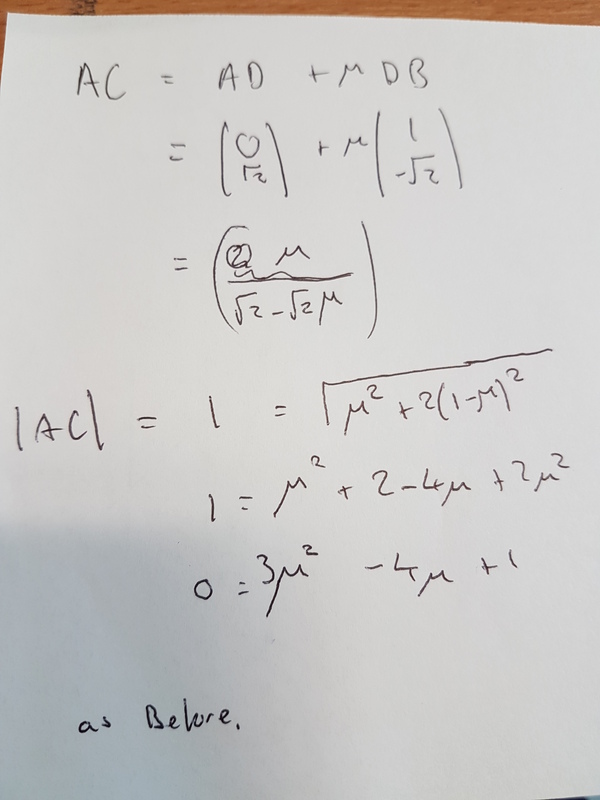 Developing models that may need a calculator (or even a computer) to solve? Doing the things humans are better than machines at doing, and leaving the drudge work to our silicon slaves? If we want to help students develop the skills they’ll need to succeed in jobs that can’t be automated away, we need to turn the calculator from an unnecessary crutch into something that makes difficult problems possible, and tedious problems quick. We should be encouraging students to use spreadsheets and explore what they can do. We should be getting them to write computer programs to avoid repetitive tasks. And we should be using computers to explore things like the Collatz Conjecture or the Twin Primes Problem to show that there are accessible, unsolved problems where a school student could conceivably spot something the brainiac professors had all missed. Calculators are not the enemy, any more than cars are. Colin is a Weymouth maths tutor, author of several Maths For Dummies books and A-level maths guides. He started Flying Colours Maths in 2008. He has a PhD in mathematics and even has an equation named after him! He lives with an espresso pot and nothing to prove. Why calculators should be banned. All these phrases are far too common in my year twelve class at the moment. We’ve just finished c1 and are doing some past papers, and I’m fairly worried by the way some of them baulk at fractions. This isn’t a problem that is solely theirs though. Some of my year 13s sometimes have trouble with fractions too. It’s not an isolated problem either. I think it’s symptomatic of the “calculator culture” which we live in. Students of all ages have become far too reliant on the infernal contraptions! 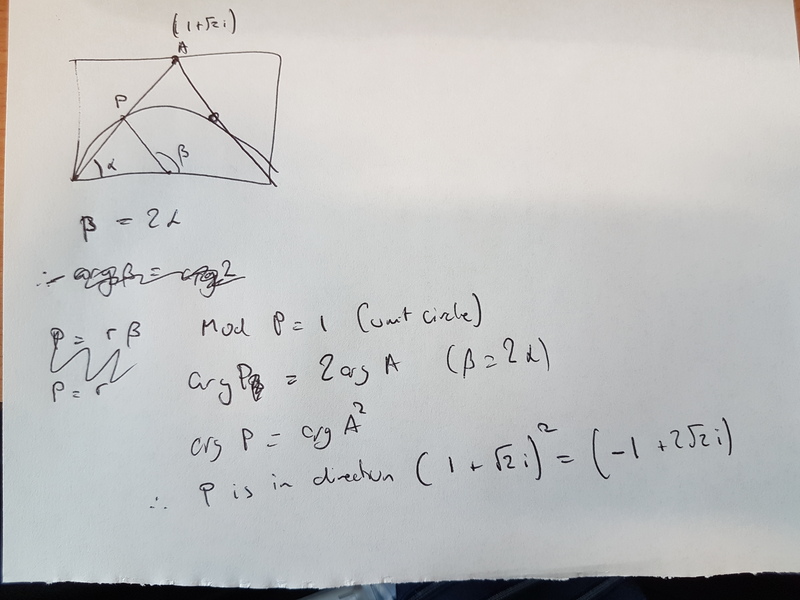 My year 13s think I’m obsessed with triangles (so do my year 10s, 11s and 12s. Perhaps I am?! They are amazing shapes with endless possibilities though.). 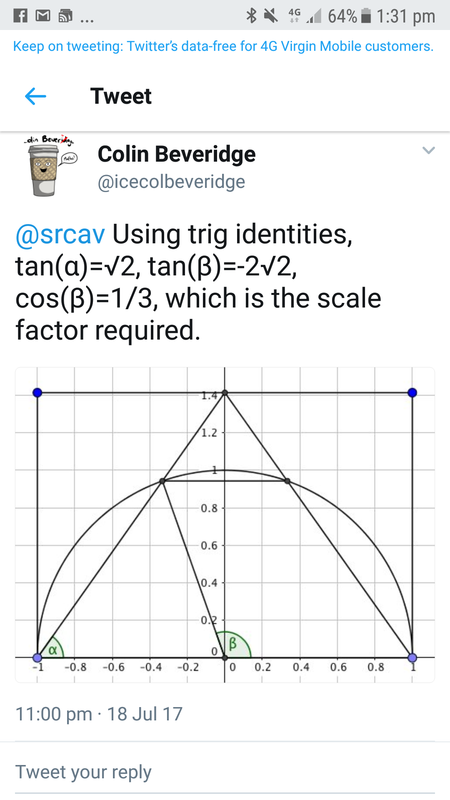 The reason for my year 13s is that I try to encourage them to calculate trig functions using triangles, rather than using calculators. Because it’s quicker, because there’s less chance of error, and because it will ultimately make you a better mathematician. This isn’t a problem that is limited to the sixth form either. I was observing a year 9 lesson yesterday on pie charts. The class are quite bright, and the tasks involved dividing 360 (ugh, degrees) by some nice numbers like 90, 60 and 12. When one of the girls near me reached for her calculator to divide 360 by 60 I took it off her. She looked at me in shock and I simply asked “what’s 360 divided by 60?” she said “6” without even thinking. I then asked her why she had reached for the calculator and she said “because it was there.” I then circulated the room and all the pupils were at it. Recently I wrote a post on multiplication methods which was inspired by a twitter chat on the subject and itself inspired a further chat. During one of them the someone inevitably suggested “just use a calculator”. I don’t agree. I think calculators are responsible for a major decline in basic maths skills. 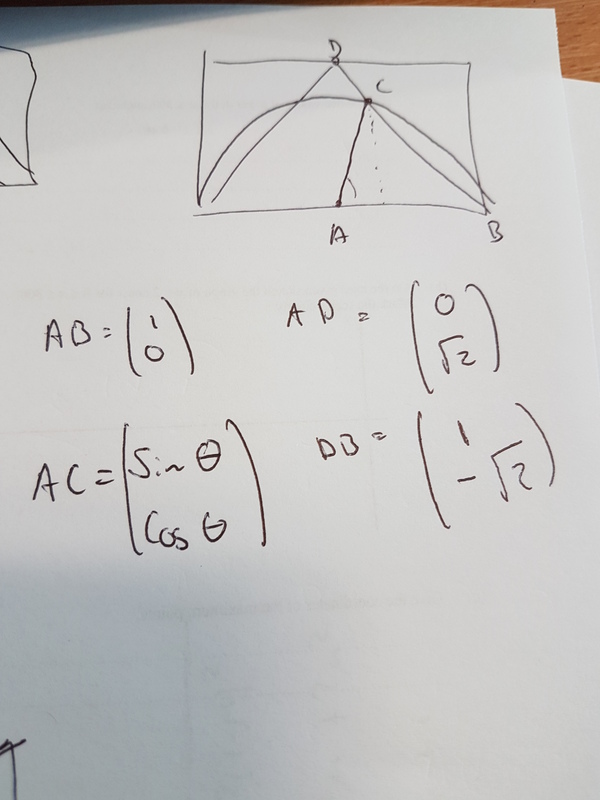 I think they are responsible for creating lazy A-level mathematicians. And I’m sure they will have cost many gcse students many marks in exams. A while ago the government announced a ban on the use of calculators in primary maths tests. Perhaps I should have written this then. I thought about. I’m in complete agreement on this one. I’d go further and at least encourage against them for most things across all key stages. I don’t allow my pupils to use them unless it’s necessary. I want them to be fluent in the maths, not good at following instructions to type stuff into a calculator.